The 2019 Rose Parade: “Engaging in Our Community’s Success” will be held on Monday, June 24, 2019 at 6:15. The Rose Parade will mark the first day of Rosefest 2019! As of April 1 the parade is full. Fill out and mail/email the Parade Application Form if you wish to apply for a spot on the Wait List. The Parade Planning Committee is well into planning the 2019 event. Information on the Grand Marshals and other event details will be available in the coming months. Our 2018 Celebrity Grand Marshal was Lee Stecklein, Olympic gold-medal player for the Women’s National Hockey team. She was followed in the parade by the Community Grand Marshals, the Goodmanson Family. 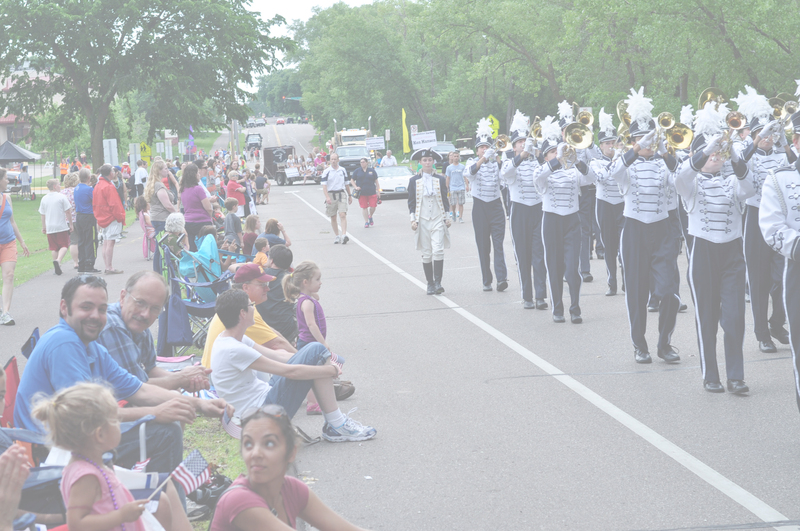 The Roseville Rose Parade is a long-standing Roseville (Minnesota) tradition that is built on community pride and sustained by community involvement. 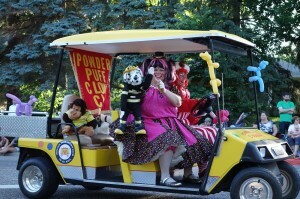 It is recognized as one of the top three community parades in our state. Watching the parade is a decades-long tradition, traditionally drawing around 20,000 enthusiastic curbside spectators, and it is televised locally on Cable Access Channel 15. CLICK HERE to see a downloadable map of the parade route to plan your viewing spot for the parade! For those requiring handicapped-accessible parking, our best recommendation is to come early and park on the side streets close to Lexington Avenue.